President Trump has announced changes to former President Obama’s changes toward travel and trade with Cuba. Specifically, the announcement is more akin to an announcement that there will be changes – rather than what those changes will be. It’s not overly clear exactly what this will mean in the future. For now, not much is different than it was as of January 19th – but this could be tossed around and remixed without warning. For the time being, you can still travel to and bring back goods from Cuba. Most are speculating that the major changes will include more restrictive travel allowances – which means fewer allowable reasons to visit Cuba and more restrictive guidelines on where you can stay, eat, travel, etc. while there. We will see in the months to come. Ernesto Carrillo is teaming up with General Cigar again. Some may remember the Re+United from several years ago (We even smoked it on the show, back on Episode 069) as the most recent collaboration. This time, however, Ernesto’s La Alianza factory will be producing the La Gloria Cubana COLECCIÓN RESERVA. Unlike the Re+United, the LGC CR will be regular production. It will be available in three vitolas (5”x54 Robusto, 6” x 54 Torpedo, 7.5” x 54 Presidente), and features and Ecuadoran Sumatra wrapper over Nicaraguan binder and fillers. Come July 1st, several of Tatuaje’s lines will be less available…Ambos Mundos, El Triunfador, La Casita Criolla and La Riqueza will become off-list items, available in small batch releases and at some events. It appears (and doesn’t seem to be a secret) that some of these lines have pretty geographically limited market shares, so they are being scaled back. Pete has said publicly that the lines are important to him and aren’t going away; they just will not be kept at the current stock levels for distribution. 2009 Oliva Serie V Maduro, from Joe V.
Black Chapel from Evil Genius Cigars; I should have paid more attention earlier…. Willy Herrera’s first blend for the Drew Estate lineup outside his Herrera Estelí marca, the Drew Estate Undercrown Shade features an Ecuadoran Connecticut wrapper over Sumatran binder and Dominican/Nicaraguan filler mix. Tonight, we’re smoking the 6” x 52 toro, which retails somewhere around the $8.50 mark…let’s see how it goes! Since our last show, the cigar (and music) industries mourn the passing of Avo Uvezian at the age of just over 91 years. We pay tribute to the legendary musician and cigar man. Davidoff has announced the return of their Chefs Edition, a collaboration with several top European chefs. 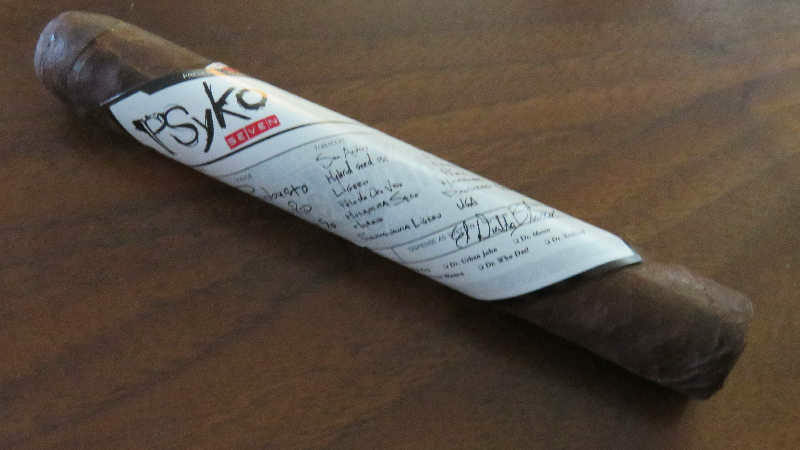 This year’s edition is again a 6” x 54 toro, and will feature a Habano 2000 wrapper over Ecuadoran Connecticut binder and an all-Dominican filler blend. The blend is intended to be enjoyed after a fine dining experience, and a run of around 3,000 boxes will begin to show up stateside next month, but I have my hands on one now. I’ll smoke it this week and report back…. Regius and Quesada have ended their distribution agreement, effective April 30. There was some initial chatter about production moving to another company (rather than Quesada, as it is at present), but that has since been retracted without more detail. I had no shops that carried the Regius lineup when I lived stateside, but had the opportunity to smoke through a box I won via charity auction a few years ago and thought the White Label was pretty fantastic….it’s a brand I wouldn’t mind revisiting should the opportunity allow. AJ Fernandez Bella Artes. This was perhaps the most talked about cigar at the 2016 IPCPR tradeshow. How’d my first experience with it go? Front runner in the longest cigar name competition, the Hoyo de Monterrey Hoyo de Dauphin is a little known gem from Havana. Rolled in 2001, the Laguito#2 (6” x 38”) is a beautiful example of the complexity that comes with certain examples form the Hoyo de Monterrey line. It explodes with nothing but “soft” style flavors and falls right within the sweet spot of “morning smoke” and “after dinner relaxation”. It’s only downfall may be its burn time. This stick often ends sooner than you’d like, and unfortunately that’s not just because of its size. Some people say the finish is very woodsy but that can be misleading to a N/C smoke who typically can equate a woody flavor to Jalapan Nicaraguan tobacco. This woodsy flavor is more fresh dry forest than dark, smokey hardwoods. It is also almost always paired well with a light brown sugar flavor. Back to Chicagoland for an update…Mayor Rahm Emanuel has, for the most part, gotten his way. After a brief delay on voting, the City Council passed legislation to increase the already steep Chicago-area tobacco taxes by a margin of 35-10. Additionally, the legal age to purchase tobacco products has been increased from 18 to 21. The new tax will be effective July 1st, and there will be no floor tax on existing inventory held before that date. There’s a good deal of math on how the tax will be calculated, but it essentially boils down to about an extra $0.20 per cigar for large cigars. Small cigars, pipe tobacco and smokeless tobacco will have additional taxes as well. Craig will be happy to learn that the Hirochi Robaina inventory is being replenished as we speak. We talked recently about the formation of White Hat Tobacco, the new company responsible for distributing the cigars. 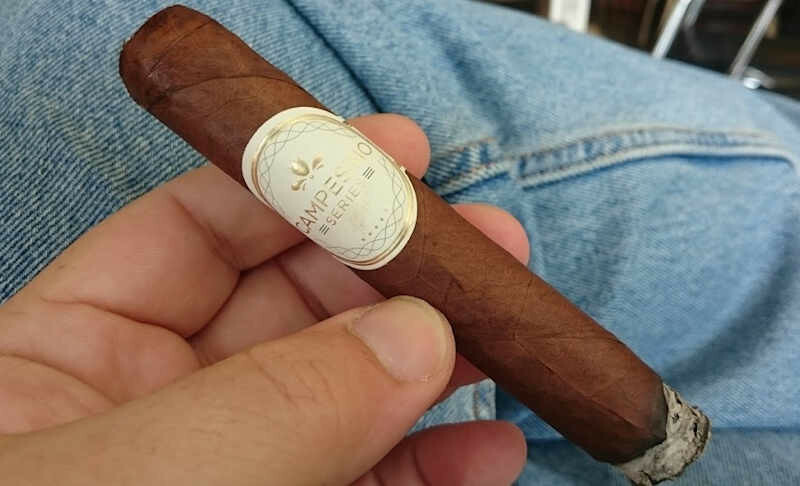 The HR Habano will have the same blend and manufacturer as in the past, and should be on store shelves shortly. Cuban cigars for Americans?!? Yes….kinda. It’s no longer illegal for Americans traveling abroad to *partake* of Cuban produced goods in third-party countries. The prohibition still exists to bring the goods back into the USA unless you’re traveling from Cuba. Until now, it was technically illegal for Americans to purchase Cuba’s products while abroad, although it was a nearly unenforceable statute. This, to my uninformed mind, is a big step politically in that it’s progress along an intended path….but means little in practice specifically. As an editorial sidenote to this story, it’s interesting to me for two other reasons. First, some vendors offer on site storage of cigars you purchase. To me, that becomes legal for Americans. I haven’t spoken to anyone who interprets this new executive action to preclude that opportunity. Secondly, there are people intimately familiar with Cuba and Cuban/US politics who believe the embargo is more of a mess to be sorted out than a political fiasco to compromise over. There is so much financially which needs to be sorted out. Congress won’t overturn Helms/Burton unless it knows its not opening Pandora’s Box in regard to legal & financial lawsuits. This loosening of the embargo’s belt is seen by me as another casual step in sorting out the financials of the past 53+ years. Davidoff has been putting out a little info on some upcoming additions to their Cusano lineup. After sweeping revamps at Camacho, Avo, and expanding outside the former Davidoff “box,” they appear to be trickling down into some of their other holdings now. The company bought out Cusano from founders Joe & Mike Chiusano several years ago, but hasn’t really done a great deal with the offerings under the name since. 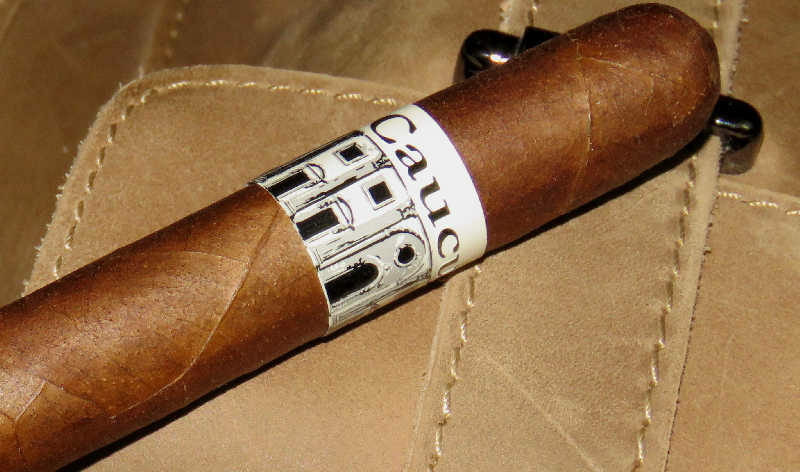 Within the past month or so, they’ve announced upcoming releases in the Cusano Dominican line – in Connecticut and Maduro. The CT will feature an EC CT wrapper and binder, and a mix of Dominican filler tobacco. The Maduro will have a Mexican San Andres wrapper over EC CT binder, and Dominican filler blend. 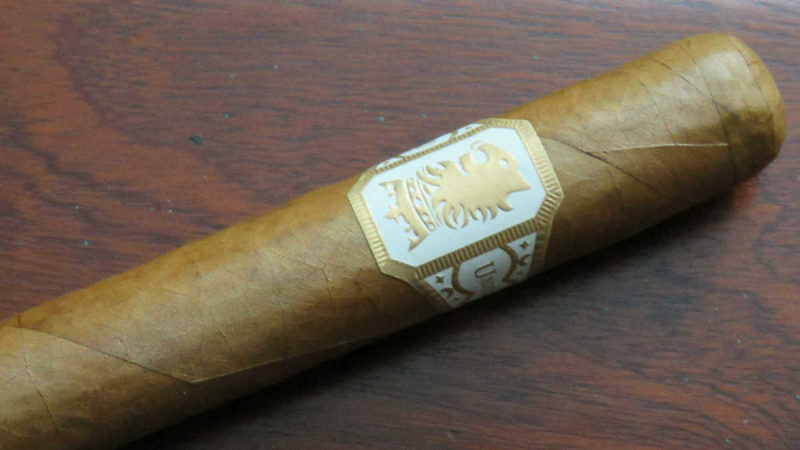 It’s going to be available in a robusto, toro, churchill, and gordo and retail for $4.50 – $6.00, depending on size. I have a long history with this brand, but haven’t had any in quite a long while. 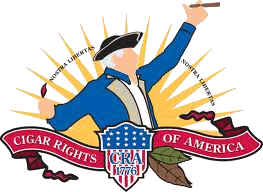 The Cigar Authority is reporting that the FDA’s deeming regulations have been “frozen” at this time. I am unfamiliar with details but the news has just broken of this tonight. First thoughts seem to be that this is for the best. Illusione Rothschild – These are a milk chocolate bomb. When on, they can be a go-to stick for just about anyone. I find them to be inconsistent, not in overall blend, but in how that blend comes across. This one’s tendency was to taste as it always has but be so dirty & palate coating that it negatively impacted the experience. Cabaiguan Maduro PC – I love this line but think this may be my least favorite of them. It does not demonstrate the lovely maduro qualities of the larger sizes. I typically prefer smaller stuff. Not in this blend. Good despite its shortcomings. Great in larger sizes. Next episode (142), we will be smoking the Campesino Series by Tabaqueria 1844. So come by Friday night and hang out with us in the chatroom during the show. If you would like to contact us in the meantime, you can reach us via the Contact Page or the following emails: [email protected] or [email protected] Please feel free to drop us a line if you have any questions you’d like answered, comments to make…or even compliments and complaints. We love to get your emails! Also, remember you can always go back and listen to previous episodes, which can be found in the Half Ashed Archive. You can download this week’s audio directly below (right-click “Download” and save), find us on iTunes, or subscribe with any podcast app at our RSS Feed. Video, as always, will be available at the Half Ashed YouTube Channel. 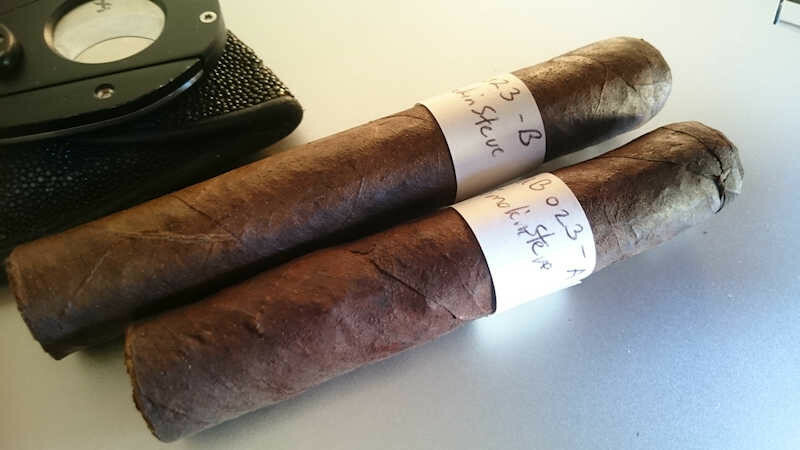 Tonight, we’re smoking TWO Unbanded cigars….doubly blind! Quesada will be continuing their limited Seleccion Espana limited release for a dozen retailers for 2016 – this time, however, it’s in an “A”-ish vitola (8.5” x 48)….sorry, Craig. Each retailer will still receive 100 cigars, but in 10-ct boxes rather than the 50 or 100 count crates from the past. Davidoff sent out a press release earlier this week, detailing that they will be releasing a couple box pressed vitolas in their Nicaragua line. 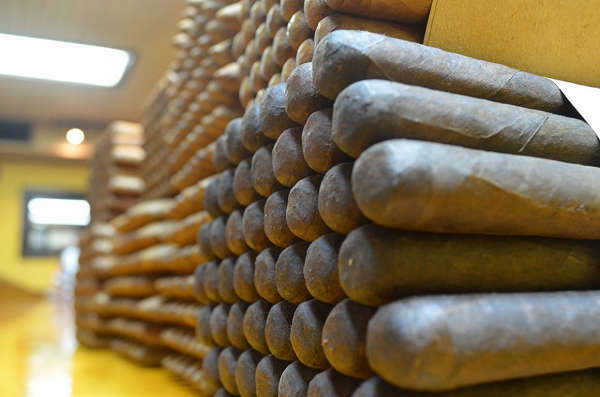 The sizes will be a 5”x48 robusto and 6”x52 toro, which differ slightly from their non-pressed counterparts in the regular line (5×50 and 5.5×54). They also list a Nicaraguan habano oscuro as the wrapper, rather than the “Nicaraguan rosado” given for the standard issue Nicaragua. No details were given as to pricing, but the new sizes should ship in March. AJ Fernandez has suffered a fire at their Nicaraguan operations over the Christmas holiday. On Christmas Eve, news spread of the fire – which, according to the local news agency Telenorte, destroyed several tobacco barns and farming equipment. There have been mixed reports of the monetary loss, with some estimates coming in at over $1mm US. Reportedly, the factory proper was not impacted…but a large supply of raw leaf was burned. Telenorte has also reported that an employee has been detained for questioning in the fire. Fuente’s now-annual “Unnamed Reserve” release has hit retailer shelves. As was the case once before, it has been delivered in two differing vitolas within the same box this year – a 5.5” x 48 robusto and 6” x 50 toro. There are 10 of each size included per box, with retail set at around $325 per box (just over $16 per cigar). 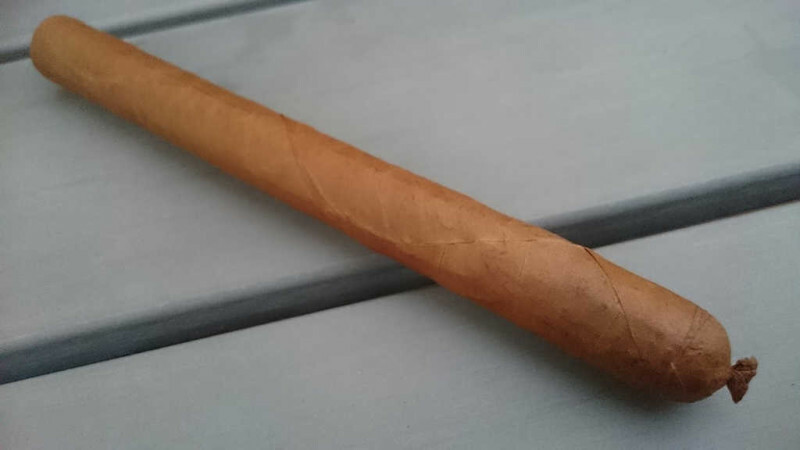 Club Havana Corona Especial (Laguito 2) – These are really coming around at 1 year old. I love the blend and thought this size might not be the best representation. One smoked last week makes me think they just needed to come out of their mini-funk. Tat Belle Encre Reserva – I talked about these a few shows back and I’ll say the same again. Not ready. 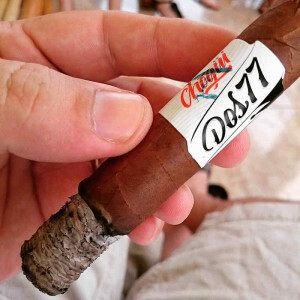 In the next episode (135), we will be smoking the Chogui Dos77. So come by Friday night and hang out with us in the chatroom during the show. If you would like to contact us in the meantime, you can reach us via the Contact Page or the following emails:[email protected] or [email protected] Please feel free to drop us a line if you have any questions you’d like answered, comments to make…or even compliments and complaints. We love to get your emails! Also, remember you can always go back and listen to previous episodes, which can be found in the Half Ashed Archive. You can download this week’s audio directly below (right-click “Download” and save), find us on iTunes, or subscribe with any podcast app at our RSS Feed. Video, as always, will be available at the Half Ashed YouTube Channel. S.T. Dupont and Davidoff of Geneva USA announce that they will enter into an exclusive distribution agreement in the United States effective January 1st, 2016. The newly announced agreement between the companies further solidifies an already strong relationship between the two. S.T. Dupont produces several of Davidoff’s lighters in its French manufacturing facilities, while Davidoff serves as distributor for S.T. Dupont in Switzerland and elsewhere. According to S.T. Dupont President Alain Crevet, the aim of the partnership for his company is to strengthen its success in the United States with lighter and cigar accessories, while growing its market share in the luxury pen, leather goods, and men’s accessory market. S.T. Dupont has expressed gratitude to its current distributor Lotus International for its dedication over the past 8 years, and has also announced that the company will continue as its after-sales-service center for the US. All three companies are jointly committed to deliver high quality products and services to the US market. For nearly 145 years, S.T.Dupont master goldsmiths and silversmiths, lacquerers and trunkmakers have created unique and durable objects that are entirely crafted by hand and made in France for exceptional individuals. This legendary and unique know-how, combined with an entrepreneurial spirit true to founder Simon Tissot Dupont, contribute to perpetuating the international aura and recognition of a House that embodies Fine French Craftsmanship. It is with great pride that S.T.Dupont preserves the know-how of its master craftsmen, who are heirs to skills passed down from generation to generation. The CHF 1.23 billion Oettinger Davidoff AG with over 3,600 employees around the world, traces its roots back to 1875 and remains family owned to this day with two distinctly different businesses: one that is focused on FMCG distribution in the Swiss market and one dedicated to the core business of producing, marketing and retailing premium branded cigars, tobacco products and accessories. The premium branded cigar business include Davidoff, AVO, Camacho, Cusano, Griffin’s, Private Stock, Zino and Zino Platinum. The Oettinger Davidoff AG business is anchored in a strong “crop-to-shop” philosophy, having pursued a vertical integration from the tobacco fields in the Dominican Republic, Honduras and Nicaragua to the worldwide network of over 70 Davidoff Flagship Stores which complement a network of strong Appointed Merchants around the world.